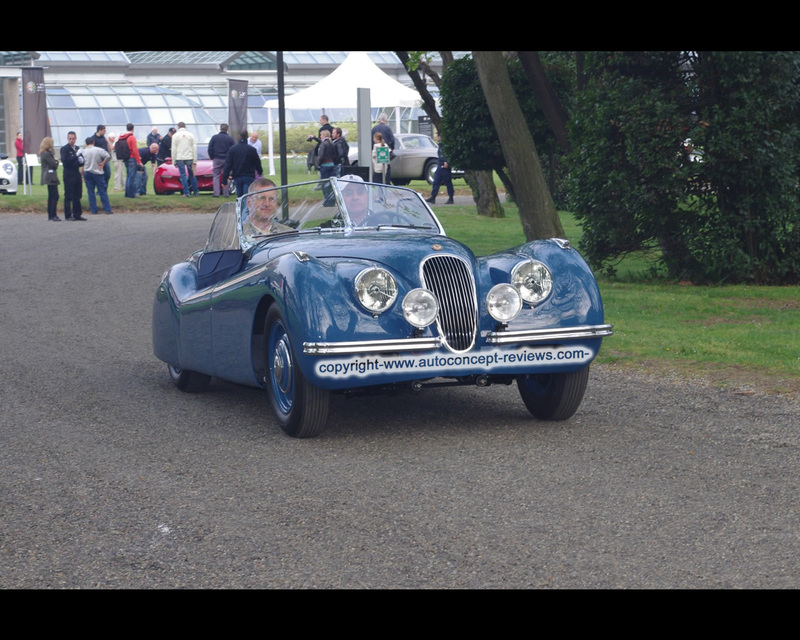 The Jaguar XK 120 ws created as a stopgap solution for the "London Motor Show" in October 1948, the first to be held after the war. Actually, Jaguar wanted to present its new engine there as a power unit for the new high-speed saloons ( the subsequent Jaguar Mark VII). 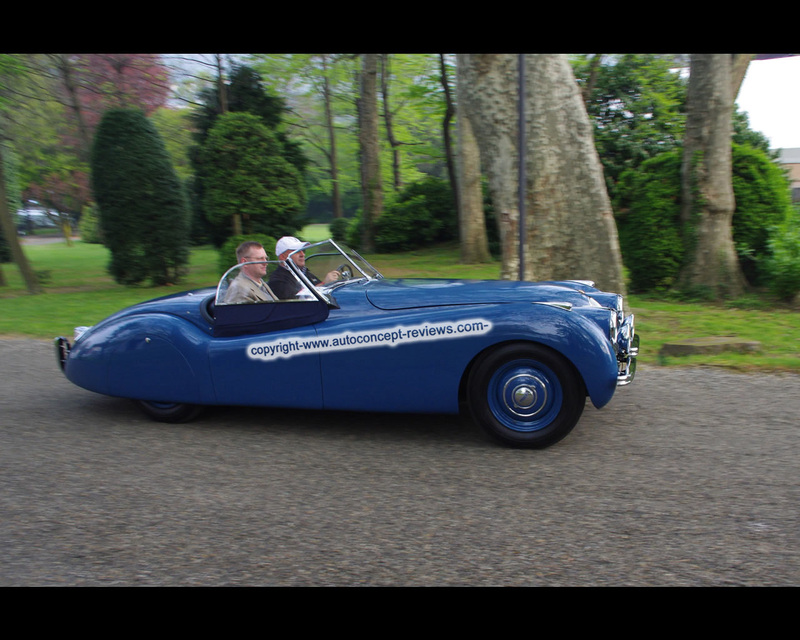 However, the development of the body at Pressed Steel was not yet complete and the company decided to present the car in the guise of a streamlined sports car to act as an eye-catcher. Initially, this car was only designed as a limited series car and was fitted with an aluminium body mounted on a wooden ash frame. When customers demonstrated an unexpectedly high level of interest in the vehicle, it became obvious that production of the 240 units originall y envisaged would not be adequate. The sheet-steel version with the same design was therefore presented in 1950 and 7373 units were manufactured until production was discontinued in 1954.